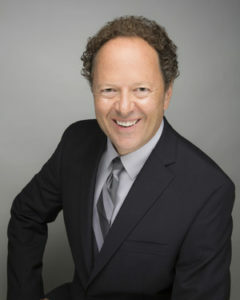 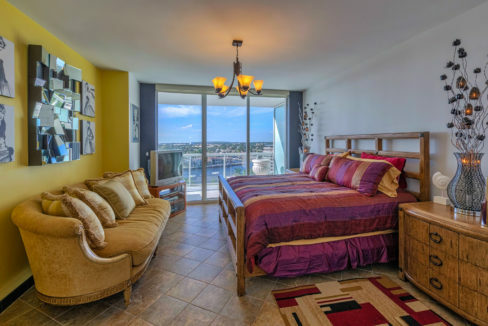 Welcome to the Plaza at Oceanside! 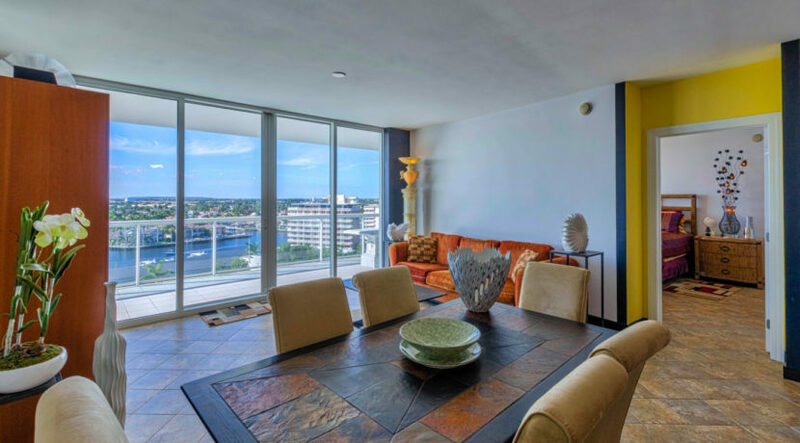 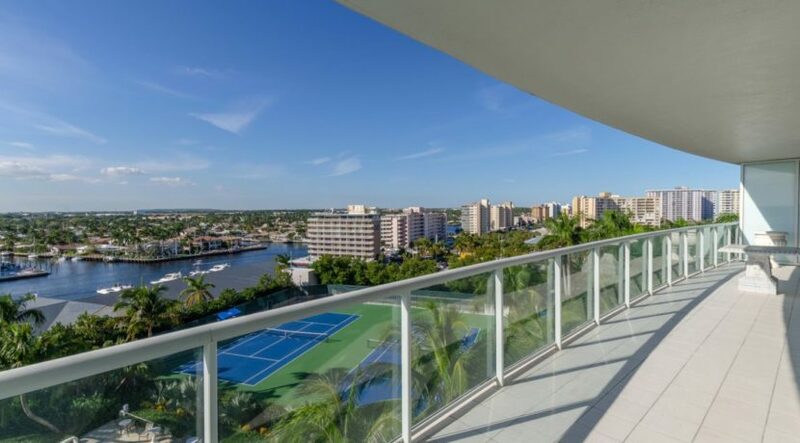 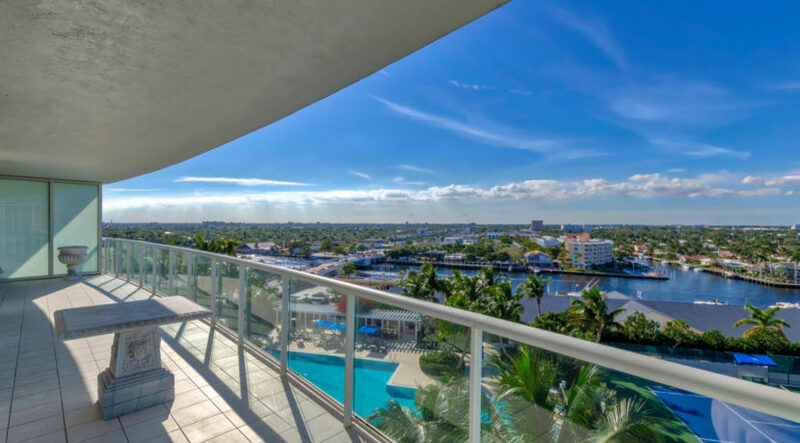 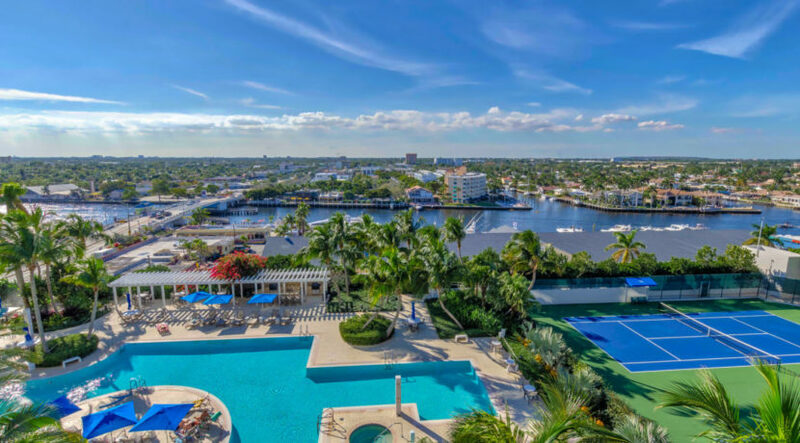 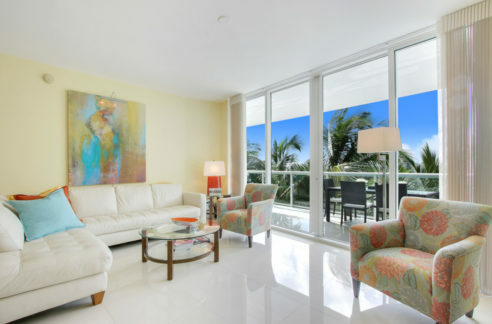 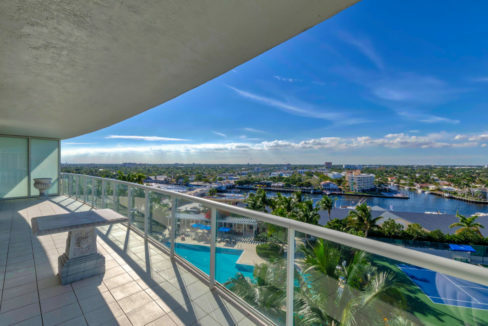 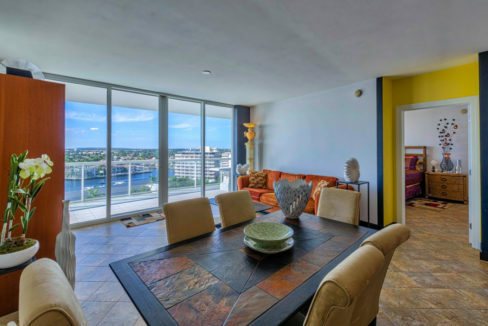 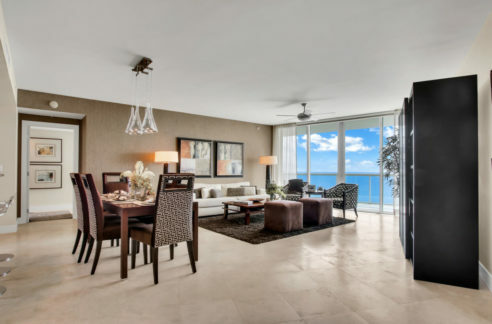 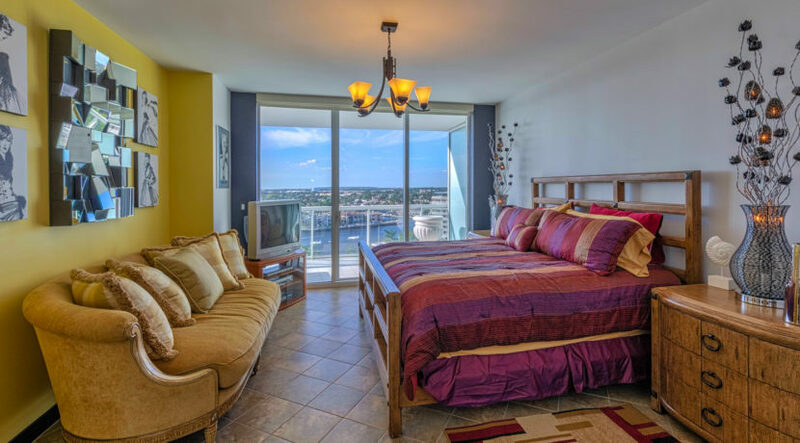 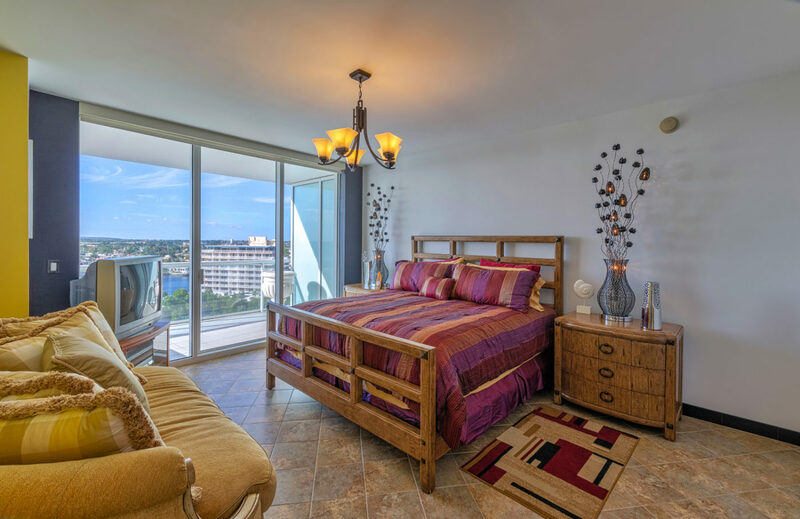 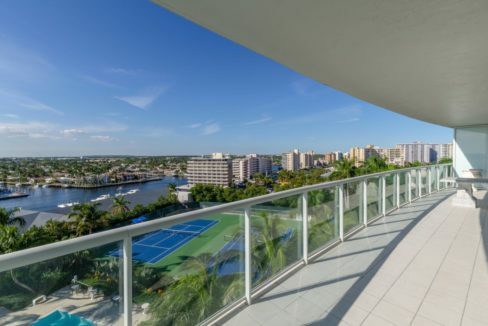 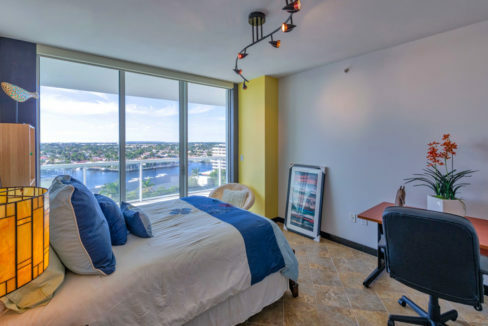 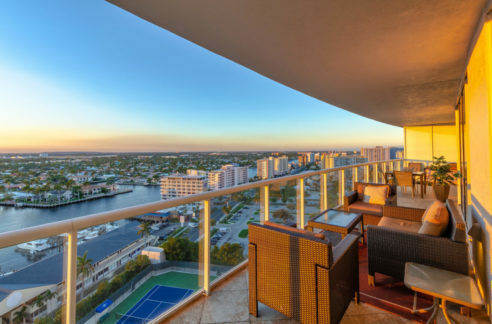 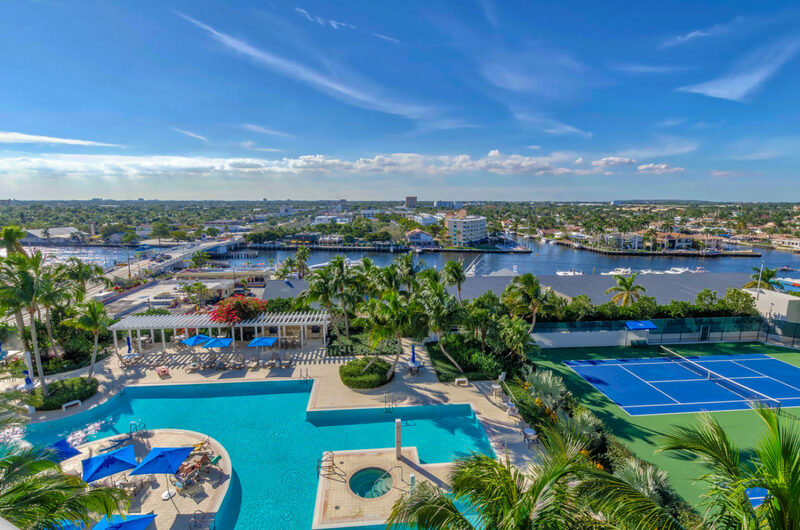 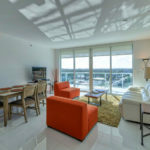 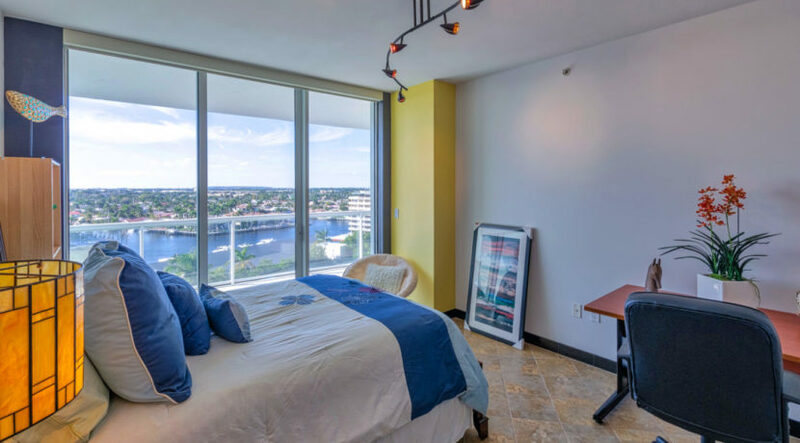 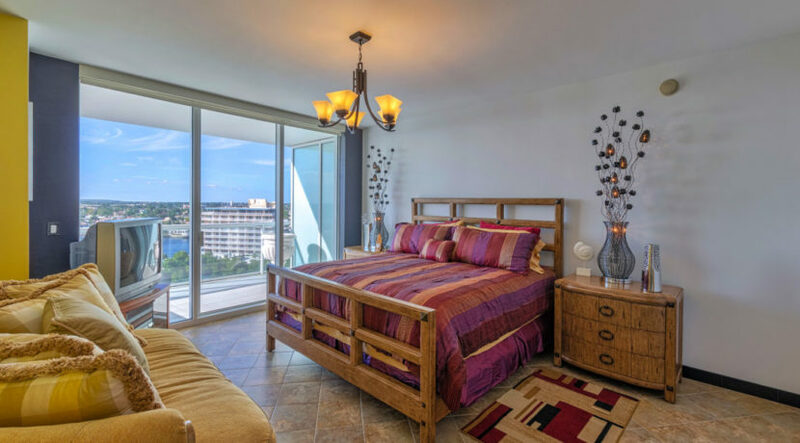 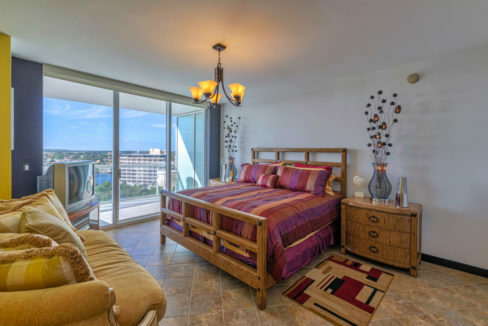 Luxury Lifestyle with Gorgeous Intracoastal/Marina/City and Sunset Views! 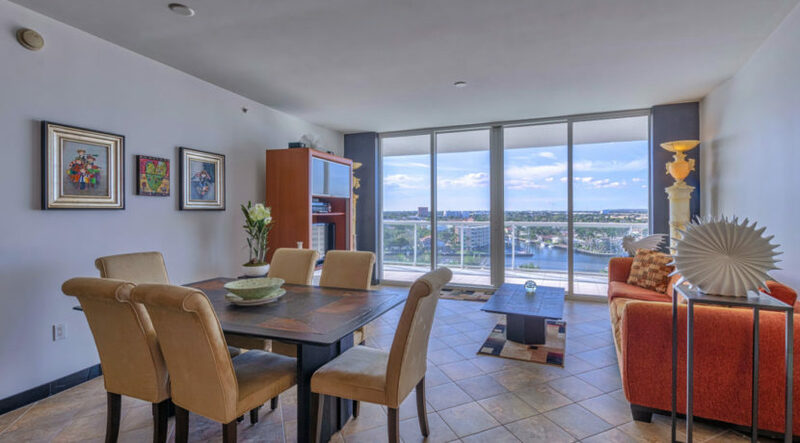 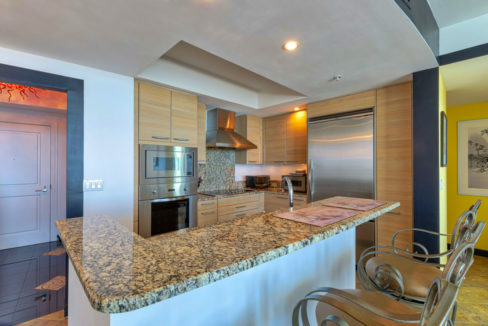 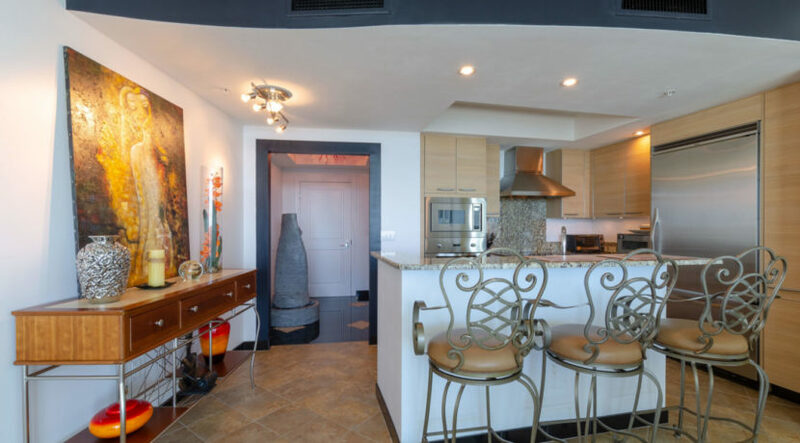 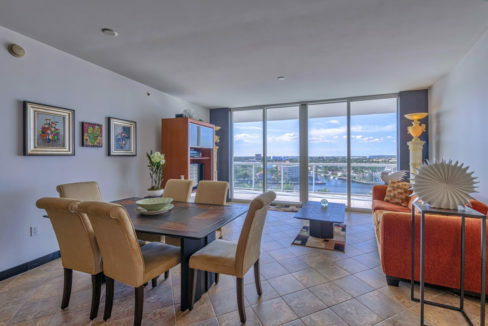 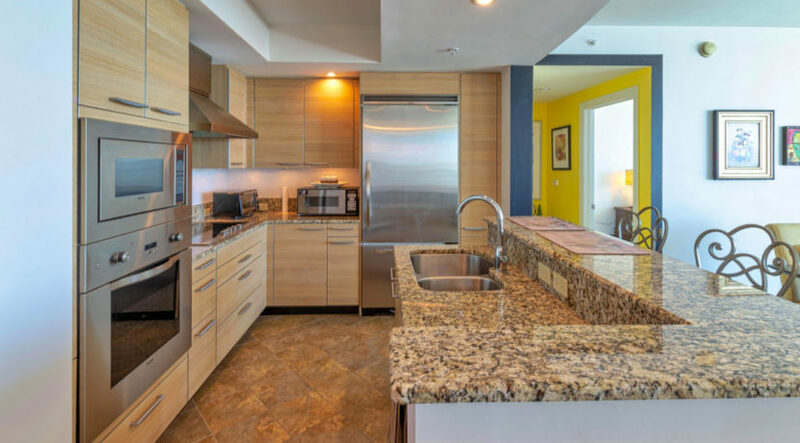 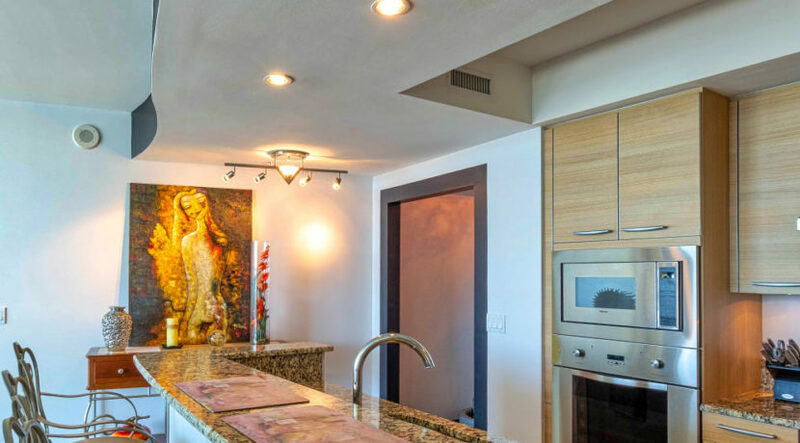 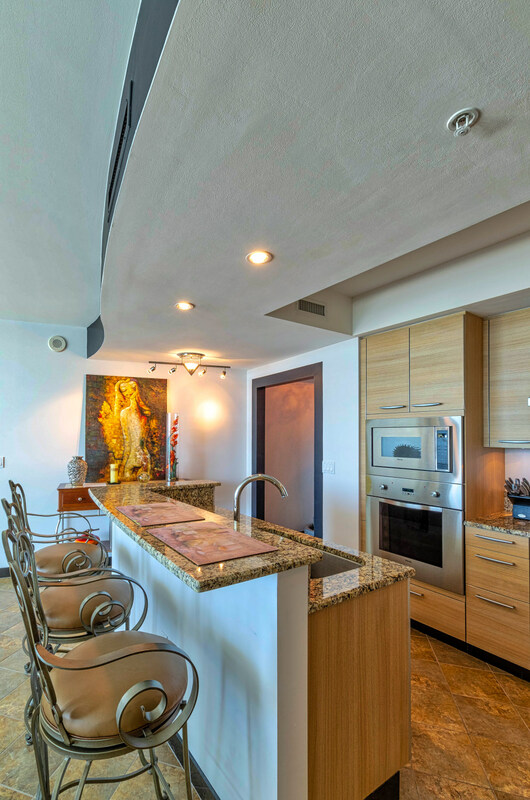 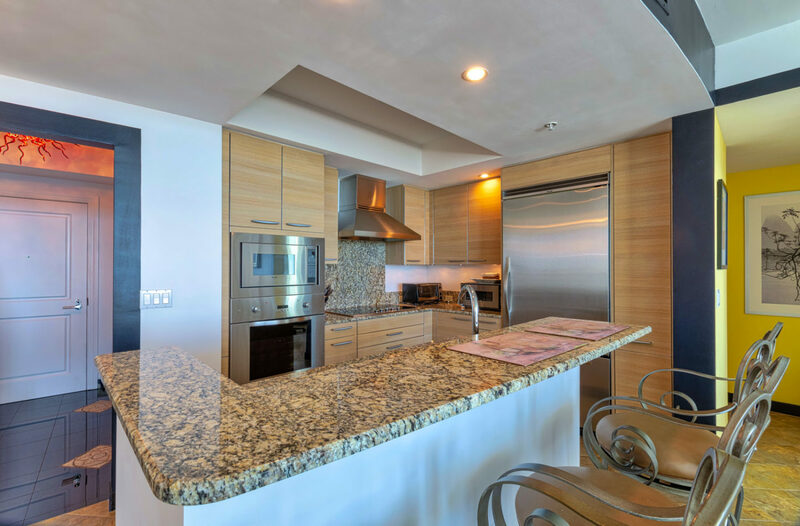 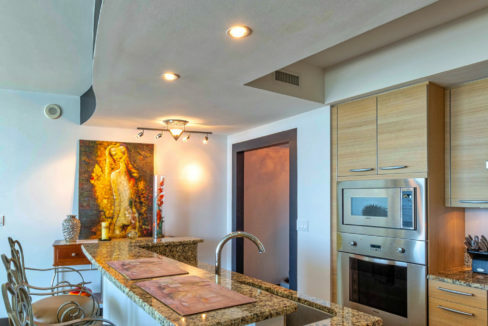 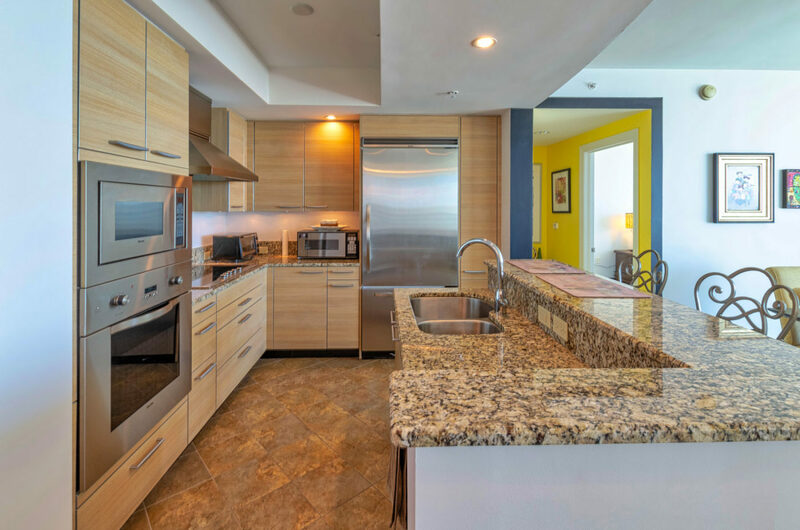 This immaculate 8th floor 2 bdrm/2 bath split design sky residence comes with 2 parking spaces and features an open floorplan with floor-to-ceiling impact glass sliders from each room to the huge terrace. 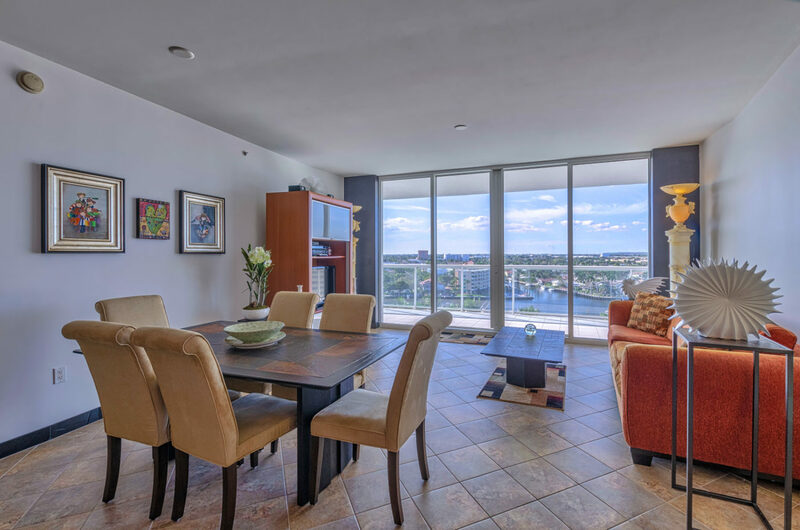 The entry foyer opens into living and dining areas which capture the beautiful panoramic view. 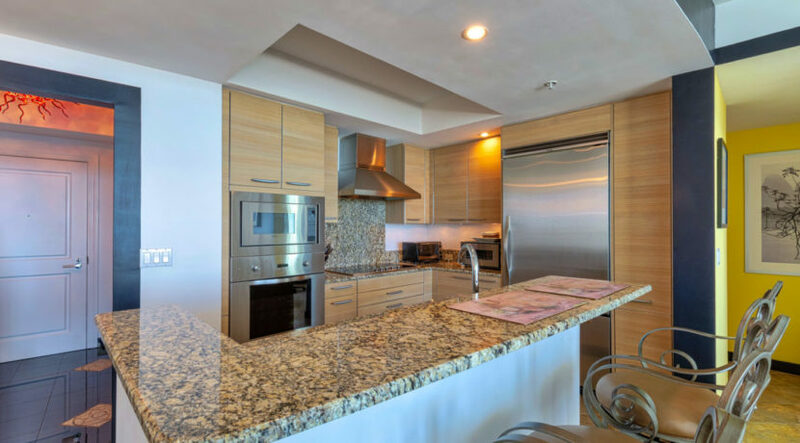 The European designer kitchen features granite countertops, Poggenpohl European cabinetry and Viking s.s. appliances. 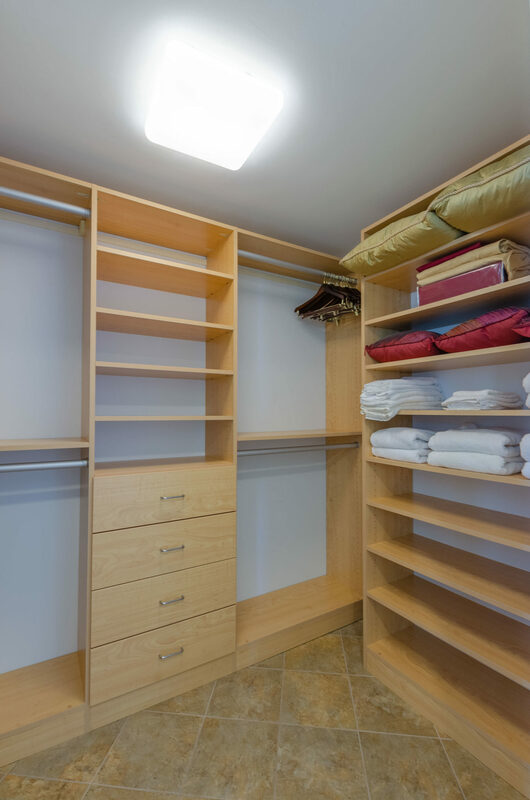 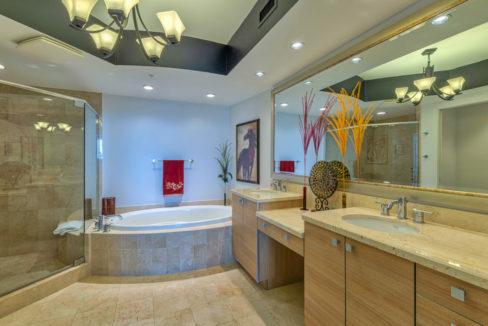 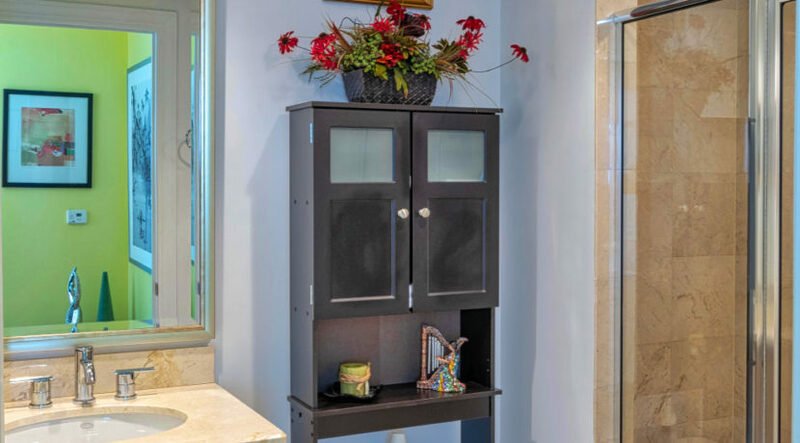 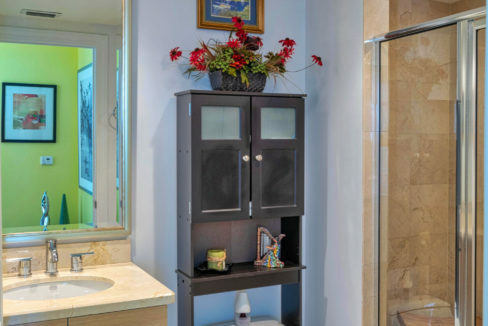 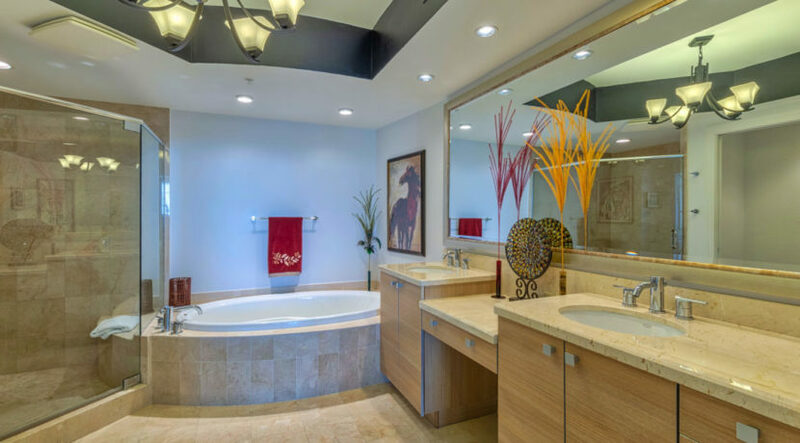 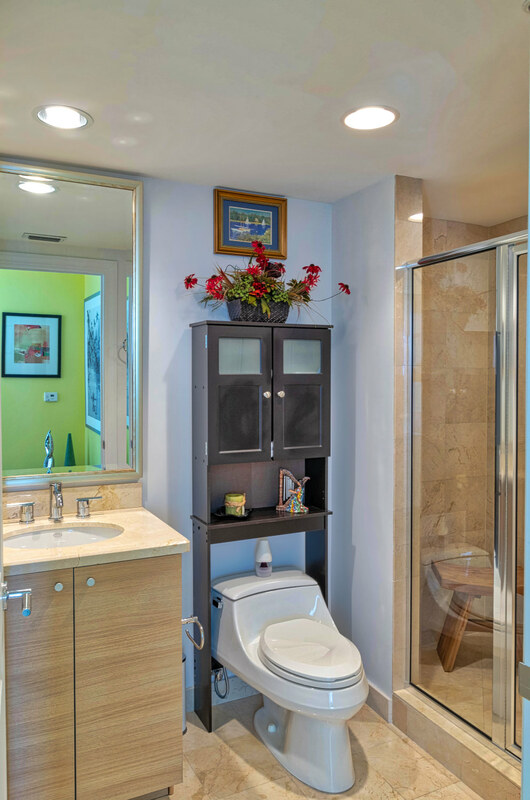 The expansive master suite opens to the terrace, has two large walk-in closets and a luxurious bathroom with a Jacuzzi tub, a separate shower, and two-sink vanity. 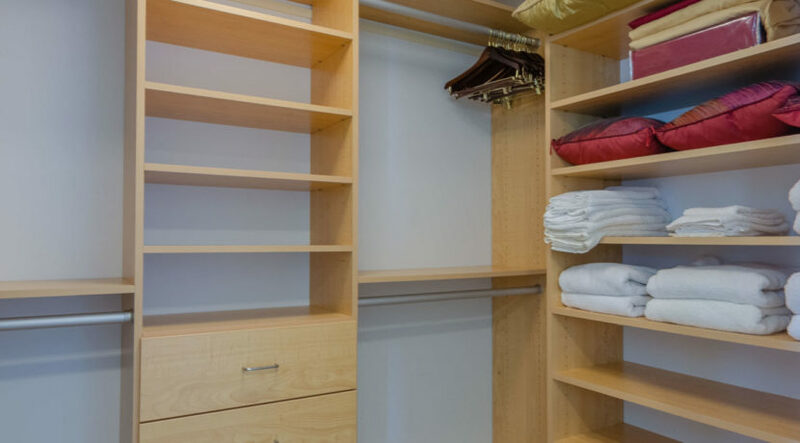 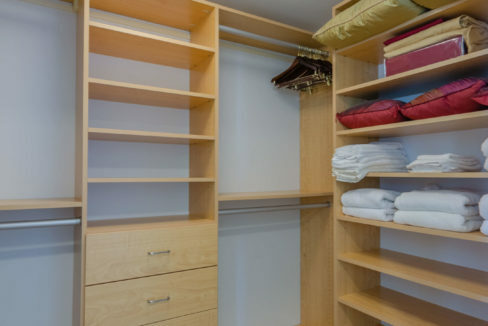 The guest suite to the left of the main salon has a walk-in closet and a full bath. 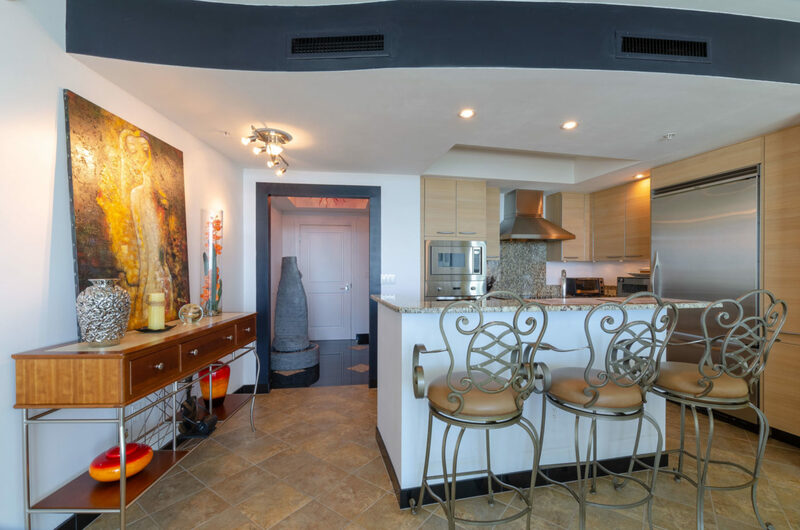 The Plaza at Oceanside provides a 5-star resort living experience with over 40,000 square feet of luxury amenities including a huge zero-entry infinity edge pool surrounded by lush landscaping and a full outdoor grill kitchen, Jacuzzi, and two tennis courts. 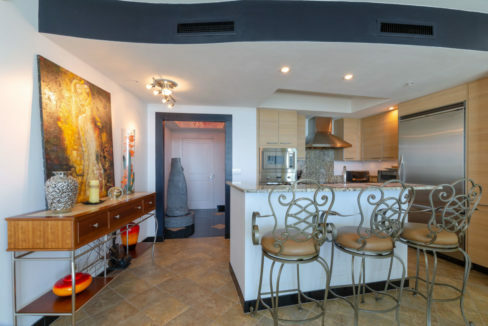 Inside, find a world-class ocean-view state-of-the-art fitness center with his and her spas and treatment rooms. 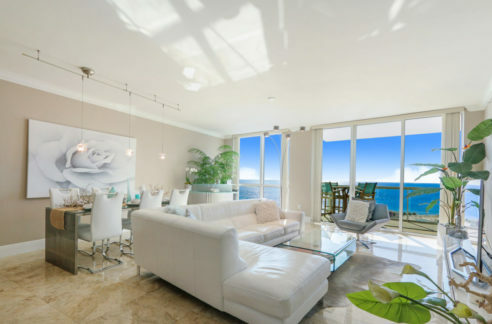 an oceanview club room with full bar, outdoor terrace and catering kitchen, a billiards room with poker tables and TV/entertainment area, a private wine vault, a library/media center, a surround sound multi-tiered theater, a golf simulator room, amazing News Cafe with daily breakfast, kids room, teens room and more.